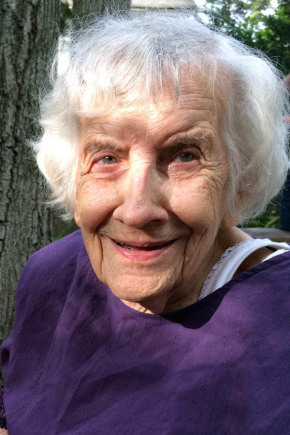 Jeanette Sayor, age 94, of Fair Lawn, NJ passed away suddenly at her home on Sunday, January 20, 2019. Born and raised in Garfield, NJ, she resided in Fair Lawn with her sister Florence and family since 1953. An avid gardener, she also enjoyed reading, (especially the daily newspaper,) keeping current on neighborhood happenings, baking, walking, shopping and visiting with family. Beloved sister of Benjamin Sayor. Dear aunt of William Wolf, Robert Wolf, Connie Miller, Doris Walsh, Tom Sayor, and Tracy Sayor. She is also survived by her devoted caregiver, Merlinda. She is predeceased by her sisters Florence Wolf and Minnie Krawiec. The family will receive relatives and friends Friday, February 8, 2019, 12:30 PM – 1:30 PM, with a service following at Vander Plaat-Caggiano Funeral Home. Inurnment will be held at Fair Lawn Memorial Cemetery in Fair Lawn.